At least ten people are missing after an explosion at a coal mine in the Ukrainian city of Donetsk. Fifty-one people were in the mine at the time of the accident. Only 38 of them managed to make it to the surface, RIA Novosti reports. Two were found dead, another worker was found heavily injured. The search for others continues. Early reports say that a mixture of coal and gas exploded at a depth of 1,250 meters. There have been a number of accidents at Ukrainian coalmines. 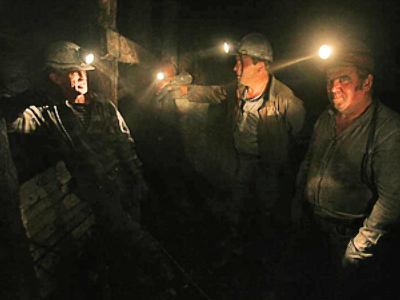 In 2007, more than 100 workers died in a gas explosion in the Zasyadko mine, also in Donetsk.